Gear, an inventer/engineer, builds a robot brother for his baby sister Fork. 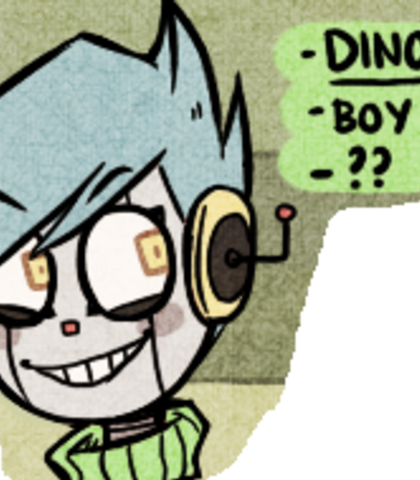 The robot's name is Dino, for his love of dinosaurs. Fork and Dino play, argue, and get into trouble together. 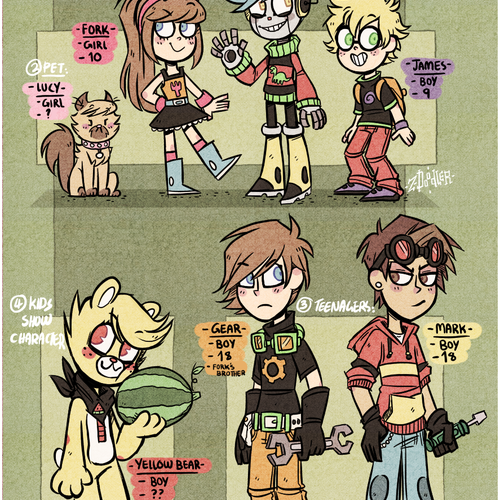 Gear does his best to be a good older brother and a awesome engineer. The family trio and friends have all kinds of misadventures together, all for the sake of shits and giggles. 3# When turning in recordings, you will email them directly to me via email. The format must be in mp3 format but also can be sent in a zip file. You must send one recording per given comic, example; MP3 File Comic10 , MP3 File comic11 and so on. 5# I only work with audio files with decent to good quality, do not record by "Phoning in". As in using your phone to record, I do not work with that garbage. IF YOU HAVE ANY MORE QUESTIONS PLEASE SEND A PRIVATE NOTE AND I WILL REPLY AS SOON AS I SEE IT. Dino is a robot boy made by Gear to be a sibling for Fork to play with. He is always given someone crap and is a sassy bot. Prideful, pretentious, and full of himself but in a good way. LOOK AT THESE COMICS THE LINES ARE RIPPED FROM,THEY ARE IMPORTANT!!!!!! The lines above were taken from comics that this character says. Study the art and facial expression of the character, so you can grasp how the character is saying it. This also increases your chnaces of being selected. 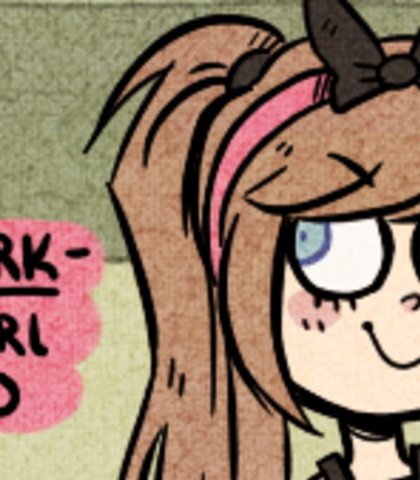 Fork is Gear's baby sister and sibling to Dino. She has this bizarr obsession pver forks and is a tough non sense little lady. She butts heads with Dino on a daily bases like sibling normally would. sometimes she can be caring and nice to Dino when she feels like it. Gear is Fork's big brother and Dino's creator. He is the parent figure and older brother "A Dino for Fork". Gear is caring and encourages his siblings to educate themselves. While fork and Dino are away at school, Gear is normally tending to one of his inventions. He is also constantly butting heads with his freind/enemy Mark, a rival engineer who breaks into Gear's house just to bother him. James is a super nice super innocent 9 year old boy who constantly tries to befriend Dino. He is basically a victim of Dino's douchebagery. But being super nice helps for the abuse not to phase him, and so he tries every moment to get Dino to be his best friend. 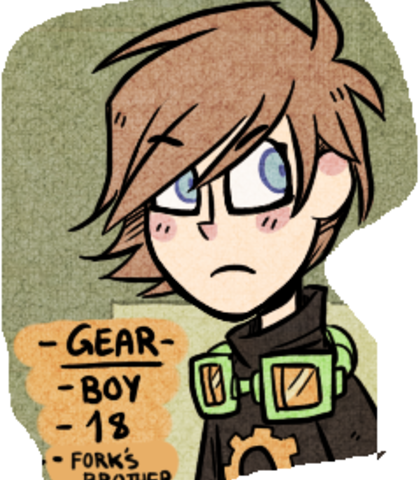 Mark is Gear's friend/enemy, a rival engineer who loves to give Gear crap. Most of the time by breaking into Gear's house to steal his stuff and be a bother till Gear kicks him out. Sadly, he only makes 2 appearences in the series.